At times it can be a battle against wills when it comes to bath time, and what should be a fun and easy process can instead cause tantrums and tears that you’d rather avoid before bed. Whether they just hate getting clean, or just don’t enjoy a relaxing bath as much as us parents, there are a number of ways that you can turn bath time around to become one they’ll look forward to, and hopefully enjoy. Mr Matey certainly has his good points, but sometimes bubbles alone can be a little boring for the inquisitive minds of children. Despite his familiar face unfortunately he might be a little outdated, so look to find bath time alternatives that can bring another element to the children helping you run the bath. Lush recently launched some incredibly inventive child friendly products such as the Bath bomb Playdoh and jelly soap that is safe enough for the children to use themselves. Giving them the chance to feel in control of their own bath time can be saving grace when they’re kicking up a fuss. Before bath time begins get them to build their bath bomb so they can watch their creation disappear like magic and make a colourful water concoction. Taking bath time fun one step further it’s time to think outside the box just like our mini people do. Bath time can not only help relax them but can also be a great way to educate them with play, after all anything to get them to spend more than five minutes in the tub is always worth a try. 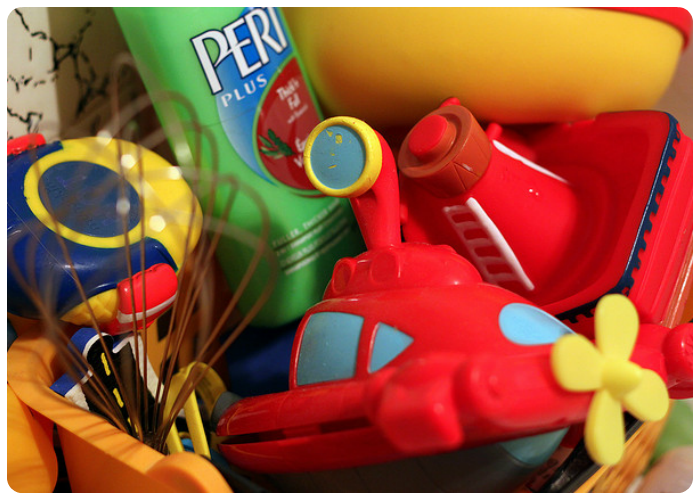 Household objects that are no longer used can be a great method of distraction, from strainers to create rainfall, to pots and pans to create a witches brew. There are a number of colourful experiments such as these that can make bath time a science experiment they never knew they could do. Of course when it comes to little ones, water and their clumsy rushed ways, it can often be a combination just waiting for an accident. So before any bath time adventure can begin ensure that it is made safe so the fun can continue. Removing anything that’s hanging down or a potential trip hazard, as well as covering the floor with bath mats such as this one, can ease the likelihood of any bumps and bruises. Put a little extra effort into bath time and you might just get that full night’s sleep you’ve been longing for. Disclosure: This is a collaboration.